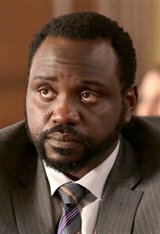 Brian Tyree Henry was born in Fayetteville, North Carolina. His siblings were all significantly older than him by 16, 15 and 13 years, and so he grew up in a house full of adults. After his parents separated, he lived with his father for a brief time. As a child, Brian leaned more towards singing than acting. He discovered his love for music when he began to play his parents' vinyl collection on his Winnie the Pooh record player. His house was also constantly full of music because his mother was always singing. Henry was part of the show choir at school and also played in the marching band. He later attended Morehouse College in Atlanta, intending to major in business but changed this to acting after he skipped class one day to audition for a play. He would go on to earn his master's degree in acting from Yale University. Brian's first acting roles came in brief stints on TV shows such as Law & Order, Boardwalk Empire and The Good Wife between 2009 and 2014. He made his first film appearance in the movie Puerto Ricans in Paris (2015), but his biggest role would be as Alfred "Paper Boi" Miles in the comedy-drama series Atlanta. This role earned him several award nominations, including an MTV Movie & TV Award for Comedy Supporting Actor, and for Best Duo, which he shared with co-star Lakeith Stanfield. Brian has continued to act in both movies and on television. He earned a recurring role as Ricky in the hit drama This is Us, which earned him an Emmy Award nomination for Outstanding Guest in a Drama Series.